The Atmosphere is pretty fun, but also pretty dangerous. Watch your face and fingers when this thing goes astray. If you are a Bart Simpson, this toy is for you. If you are a Millhouse, try something tamer like a three wheel. This is a fun toy to play with long term. The mechanics of the aquabot are really fun to watch too. There are several colors to choose, and a pretty good price point compared to many spendy toys in todays market. Anyone else getting football fever? I think these guys will be great for coffee table collecting. During a game you can reenact all sorts of funny plays. There are 13 to collect, and from what I can tell no codes to find. Bummer as I wanted a couple less repeats. Still fun, they are build-able which is even more fun connecting Mannings torso to Polamalu's head. Pretty fun race track toy! Some of these sets are great, others not so much. I got most of these sets for a great deal, so I can't complain too much. The Conveyor Belt pretty much stinks, It slips, it pops apart, it hardly can hit a target. It looks kind of neat, but plays poorly. Maybe when I get all the machines going, it will redeem itself. Pirate Smurf Starter Set Micro Village Ahoy! Great set if you can find it! It helps advance the waterways of Smurf Village. My boat peg is upside down, but I still like it. Nice addition to the Micro Village! I found this guy amusing, and a good toy all around. imaginext is the latest brand to jump on the blind bag madness, and I am glad. Almost reminiscent of Lego's series 1, with that Luchador on the front. The only draw back, as Spock would say, "THE WOMEN!" That's right, no women figures? How did that slip by. My kiddo, a girl, loves imaginext stuff, so that is a silly disappointment. With that said, the ten available figures are spiffy good, with the classy spy and Robot looking good. I say pick up a few if you like this style of figure. Fate would deal me a nice Ishani, so I also picked up El Chupacabra and Leadbottom too. For a full set of original six, these are a nice set of die-cast planes. Silly, colorful, and shape-a-ful, they make for a good collection. 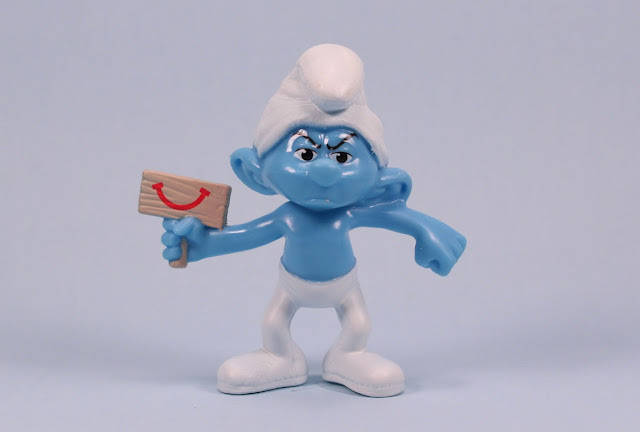 The Smurfs Megabloks blind bag toys with Codes! 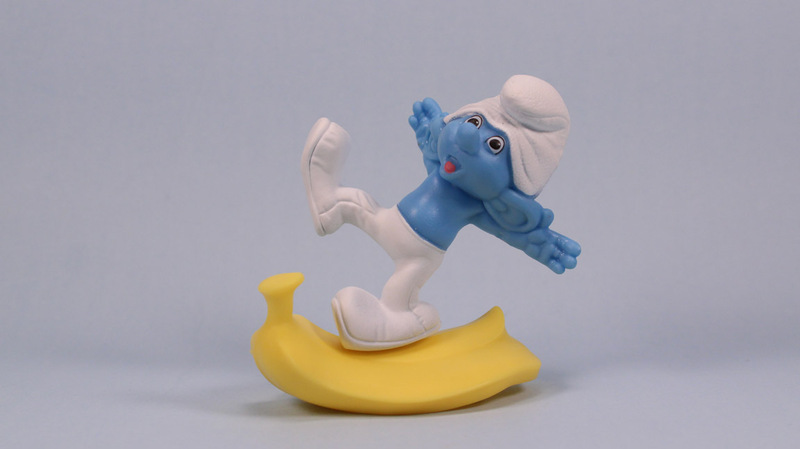 A look at the Smurfs Mega Bloks blind packs. 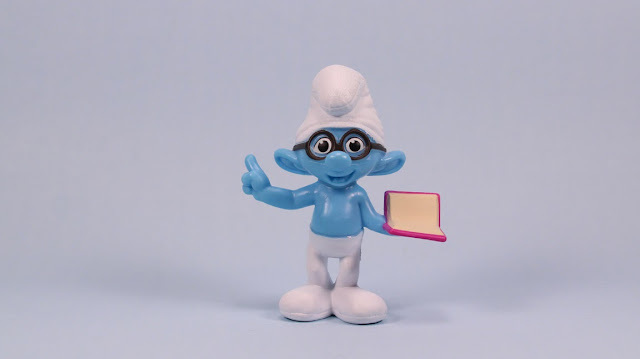 I dunno, I think Mega Bloks did a pretty good job with their Smurf stuff. I like the accessories that each Smurf gets. If you are in to collecting Smurfs, like I am lately, now is your chance to get a good set at the Happy Meal place McDonalds! 16 to collect. They are made to look for the movies, but some still have that classic smell. They are solid hunks of plastic so if you want motion, go with Megabloks instead. But if you like a nice shelf full of pretty Smurfs, check them out! Stealth Tech Ninja Turtles Leonardo Michelangelo fight Snakeweed! Zip-Line Attack! I can never get enough zip-lines, and the new Teenage Mutant Ninja Turtle Stealth Tech has them. Not bad figures, for suited turtle toys. The plastic feels a little harder than the first run regular turtles, but the gear looks great! Might have to spring for a Raphael and Donatello now if I can find em.